Length 129 mm / 5.08"
The robust Grand Cru No. 3 is a classic Corona format, which is very popular among connoisseurs. With its balance of length and diameter, the Corona format provides a pleasurable smoking experience. 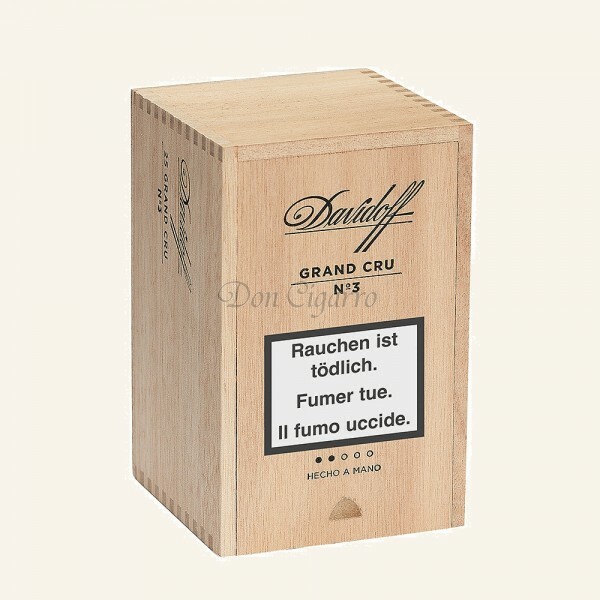 The special blend makes the Grand Cru No. 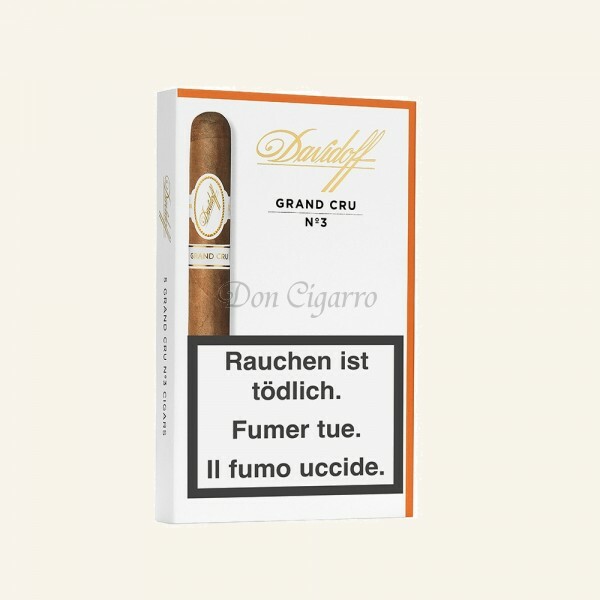 3 a medium-strength cigar with an attractive, aromatic and harmonious flavour.